"Breathe?" said Tessa, shocked. "I don't need to breathe when I'm with you." 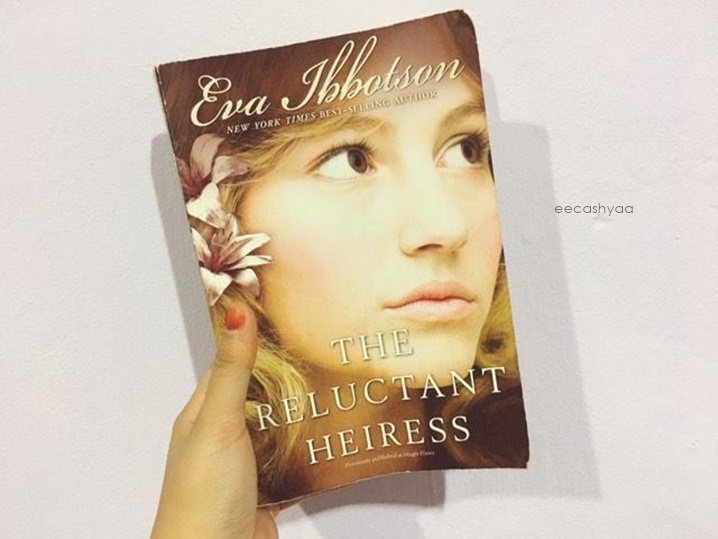 I'm not a fan of historical romance genre but somehow this book finally caught my attention after few pages. The writing style is a bit difficult to read for me but I managed to follow the rhythm of the book. The story gets interesting and enjoyable even though I get bored in the beginning. The way the author describe everything will get into your mind. I am very curious to know how does Pfaffenstein castle look like so I Google it and HERE is how it looks like! As for my opinion, the exciting scene starts when Guy meets Tessa without even knowing that she is a princess in disguise. I love how the author made them very humble and down to earth characters. Tessa decides to sell her castle and live as a commoner - hiding her identity - and working as a under-wardrobe mistress for a small opera company. Regardless of her royal status, She doesn't care what kind of life she has as long as she could serve music and art to people. While Guy Farne, a self-made millionaire, is very kind and patience not until someone hurt his pride. His fiancee, Nerine, is the opposite of Tessa. And Prince Maximilian of Spittau who is fond of Tessa, very determined to propose her because he loves her for real - not because his mom wants to take her for granted. It's obvious that greed has lost in this book except for Nerine who lives a luxury and snobbish life when she engaged to Guy. I hate her for taking Guy for granted, for disgracing Guy's foster mother and Guy, Guy shouldn't spoil her much! The ending is written perfectly as nobody gets hurt in order to claim their love from each other. The author has put a great idea how to make someone leave on their own and find their love which blew me away because I never thought it would be like that. A wise decision, I'd say. I would recommend this book to anyone who loves or want to try getting into historical romance! Endingnya,, Tessa dengan Guy ke? Hihi. Nak jugak tahu ending. Kalau buku ni historical, means writing style dia pun berbeza drpd YA novel yang lain kan? Ada gaya macam zaman dulu ke writing style dia? You did a good review and from this I'm not that keen to read the book. I guess romantic stories would never attract me lol. You got a new follower!